"Sirs, what must I do to be saved?" They replied, "Believe in the Lord Jesus, and you will be saved — you and your household." Then they spoke the word of the Lord to him and to all the others in his house. 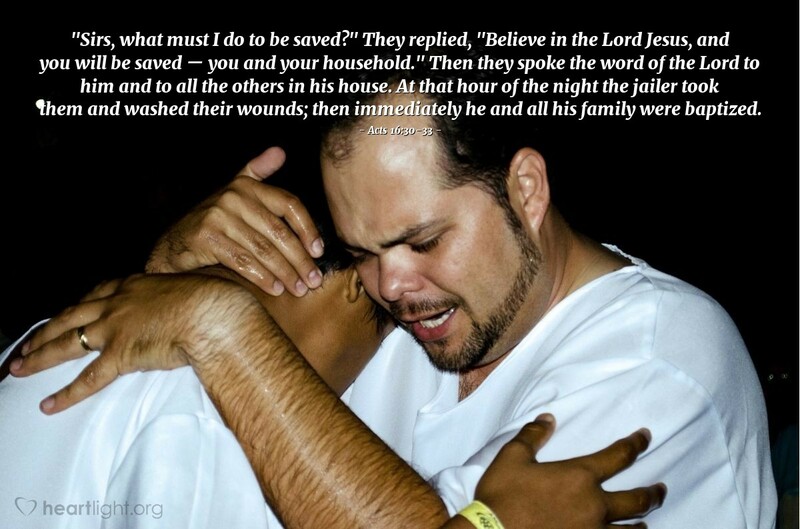 At that hour of the night the jailer took them and washed their wounds; then immediately he and all his family were baptized.